On May 30th 1997, in the small town of Melzo about 20 km (13 miles) east of Milan, the new Arcadia cinema complex opened in the presence of Italian vice-premier Walter Veltroni, (who was also Minister for Cultural and Environmental Heritage), with a special brief for entertainment. The new cinema center represents the state of the exhibition art in Italy. The Arcadia super cinema was built on a disused industrial site and currently has four 220-seat auditoriums, a bigger auditorium of 630 seats, two concession stands, a bookstore and a kids play area facility. 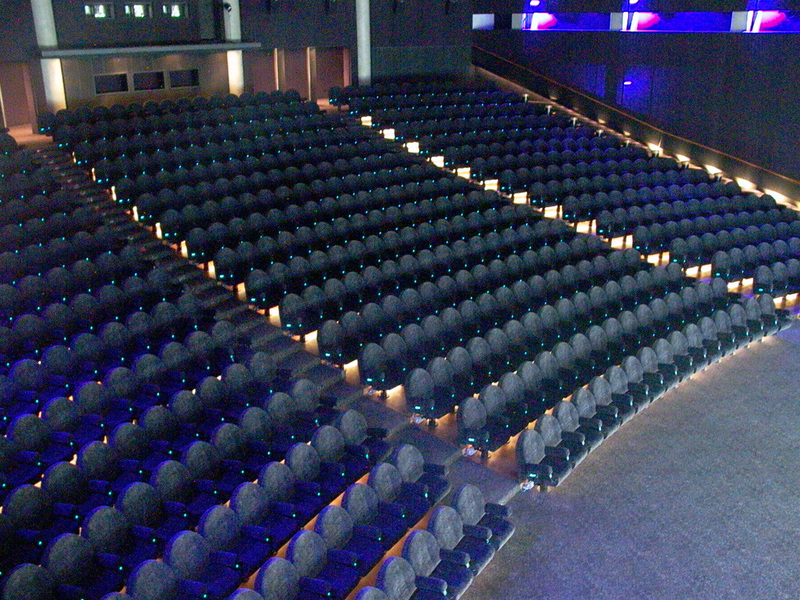 The four regular auditoriums, whose names are Fire, Earth, Water and Air, feature big screens measuring 18 X 9.50m (59 by 31 feet); the Energy auditorium, the biggest one, is equipped with the largest seamless continuous screen in the world, courtesy of British company Harkness, Perlux technology, measuring 30 X 15 m (98 by 54 feet). In the near future, an additional four 220-seat auditoriums will be opened at the Arcadia, together with additional concession stands, restaurants, merchandise and video store, plus a rooftop arena for concerts, theatrical shows and open-air cultural events. Arcadia is the only ALL-THX complex in Italy. Energy and Fire theatres have 2 Cinemeccanica Victoria 8 35/70mm projectors, Dolby CP500-D, DTS, DTS 70, SDDS and magnetic sound for 70mm. 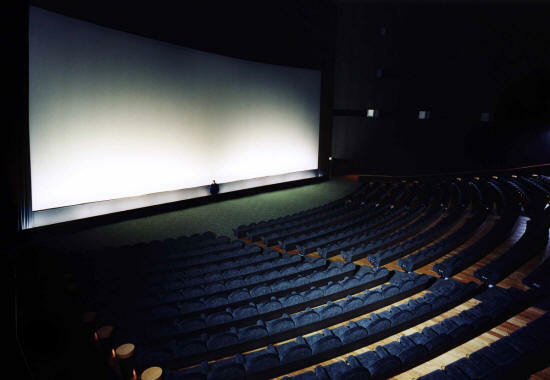 Earth, Water and Air theatres have 2 Cinemeccanica Victoria 8 35mm projectors, Dolby CP500-D and DTS. Arcadia is characterised by leading-edge technology and major innovations. Walls and ceiling are treated with a permanently resistant fiber and seating rows are a roomy 1.30 m (51 inches apart). The seats themselves, designed like the rest of the Arcadia center by architect Giancarlo Marzorati, are a comfortable 75 centimetres wide (30 inches). Each seat is equipped with its own mini-conditioner to prevent annoying acoustic disturbance during screening. All seats are numbered and may be reserved up to 15 days in advance via the computerised ticketing system and via the internet. 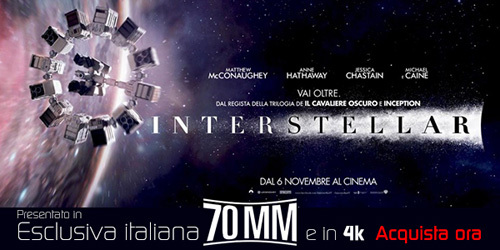 • "Splendore del 70 Millimetri"
There are no freestanding or hanging lamps in the auditoriums. Instead they are floor-lit by a system of small lighting tubes, introduced here for the very first time. 3M company created the lighting system of the whole complex. 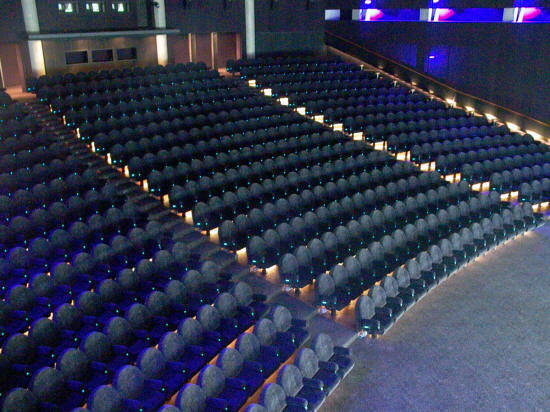 The 3M OLF (Optical Lighting Film) technology allows transport of the light by total reflection along the entire length of candle-like tubes located in the theater lobby, underneath screens and underneath each seating row. From the entrance lobby it is possible to see how the Arcadia complex ticks. The projection booths are visible through the transparent fire-proof windows which face patrons, allowing them to observe the movement of prints, the actions of projectors, the equipment for acoustics reproduction and all manoeuvres required for the success of a perfect screening. Arcadia, situated in a catchment area of 500.000 people, is the dream come true of Piero Fumagalli, a family businessman who had always dreamed of creating the perfect cinema and he was certainly the main drive behind the colossal operation that resulted in Arcadia. The creative fury, the courage, the deep technical knowledge of cinema and the love for 70mm were the factors that fuelled this huge personal challenge. The Arcadia project was lying dormant in the back of Fumagalli's mind when he entered the exhibition industry back in 1979, redesigning a single screen theater in Melzo into a two-hall complex called Centrale. He strove towards his objectives of presenting films in the best possible way, leaving the commercially-based strategies behind, giving absolute priority to the presentation of films with the best sound and projection of the highest quality. For this reason many times Piero Fumagalli requested 70mm prints from distributors, and many times he paid for the prints by himself. Mr. Fumagalli scheduled in May-June 2001 a 70mm exhibition in which Bernardo Bertolucci would present his trilogy ("The Last Emperor", "The Sheltering Sky" and "Little Buddha") together with Vittorio Storaro (director of photography of these movies) and Gabriella Cristiani ("The Last Emperor" and "The Sheltering Sky"´s editor). 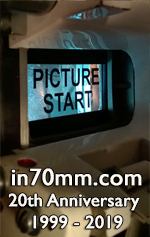 Below please find 70mm special screenings which were all national premieres.